1) The cigar industry can cheer what is the first of hopefully many wins in lawsuits challenging the Food and Drug Administration’s tobacco regulations. This week U.S. District Judge Amit Mehta (pictured at right) ruled a tobacco product shouldn’t be considered new—and therefore re-subject to FDA approval—simply because its label changes. “The ruling comes in a lawsuit filed last year by subsidiaries of Imperial Brands, Reynolds American Inc., and Altria Group over FDA guidelines clarifying what changes to a tobacco product require regulatory approval under the 2009 Tobacco Control Act, which gave the FDA authority to regulate tobacco products,” reports Reuters. 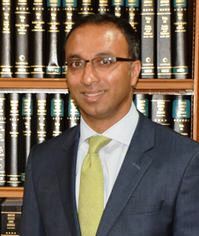 Judge Mehta did find, however, that changing the quantity of cigarettes included in a product does amount to a change that would require the new product to submit to FDA approval. The lawsuit specifically challenged how the Tobacco Control Act was being applied to cigarettes, but has significant implications for how the agency can apply its rules to cigars. 2) On Wednesday, Patrick S was interviewed on KOH 780 AM, a news talk radio station in Reno, Nevada. The conversation, which focused the FDA regulation of cigars, is an excellent resource if you’re looking for the basics and need to get up to speed. You can listen to his segment here (beginning at the 20-minute mark). 3) In partnership with expert tobacconists and mixologists, and in association with Cigar & Spirits magazine, online retailer Famous Smoke Shop has released a new cigar and spirit pairing guide. The interactive tool helps determine recommendations on what cigars to pair with different spirits. Once you get your suggested pairing, there are recommended articles to read, including an article from StogieGuys.com. 4) Inside the Industry: One of the more anticipated new releases from Tatuaje is the Reserva Broadleaf Collection, which consists of 100 cigars, 10 of each size. The collection features Brown Label blends with a Connecticut Broadleaf wrapper. In addition to the six original Brown Label sizes, also included are the Tatuaje Reserva SW, Tatuaje Reserva J21, the new Tatuaje K222, and the Tatuaje Cojonu 2003. The 100-count collection retails for $1,200. As Tatuaje owner Pete Johnson noted to us in an email ahead of the release, to differentiate the original Reserva blends (which use an Ecuadorian Habano wrapper) from the Broadleaf versions, you’ll start to see “Broadleaf” noted on secondary bands. 6) Deal of the Week: Just $27 will land you this Lucky 7 Sampler. Included are three each of the Alec Bradley American Sun Grown and Oliva Serie O, plus a Punch Gran Puro, and a free cutter thrown in for good measure. Be sure to add the coupon code “stogie” for 10% off.